AWWW!! That picture and video of that baby? SO sweet. I’m going to have to take a drive up there! Awww, very cute. I think I’d be tempted to take that little pony home with me! How cool is that! And for them to be all around the shelter…wow…pretty neat stuff! How cool! I loved this post with the two videos! Maybe you do the trail again and make a documentary with an HDR DSL???? 🙂 🙂 Hope you’re having a blast! Wasn’t that baby the sweetest little thing? I saw her too, and was graced with a little nuzzle from her. 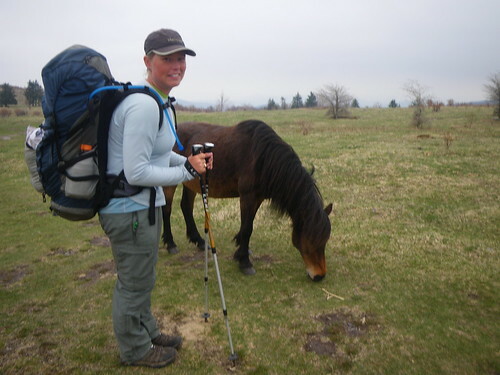 Those ponies were one of my highlights of the trail! I really did not expect them to be so tame, and was so excited when they let you pet them! I could have spent the whole day there with them. 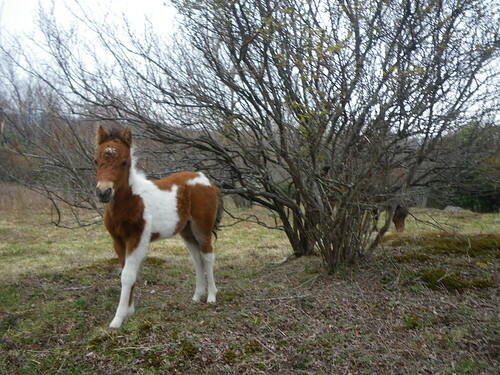 I bet there are babies everywhere now, there were a handfull of very pregnant ponies when we went through. Its so great to see your pictures on here!